About Saraswati Puja :Goddess Saraswati is represented as a graceful woman in white, a symbol of purity and peace. She is the Goddess who signifies knowledge, learning, arts and culture. She is seen as the serene Goddess wearing a crescent moon on her brow riding a swan or seated on a lotus flower. 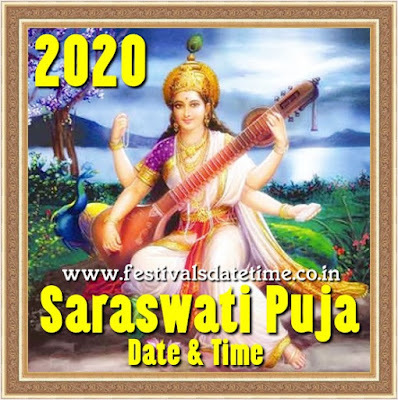 Saraswati Puja is performed to pay allegiance to the Goddess of learning.